It’s been a month since the release of their empathetic music video for ‘Prayers’. Last night Good Charlotte took the stage of NFL halftime show to perform the emotional single live. The band were special guests during the Kansas City Chiefs and the Denver Broncos game. Be sure to watch the performance below. 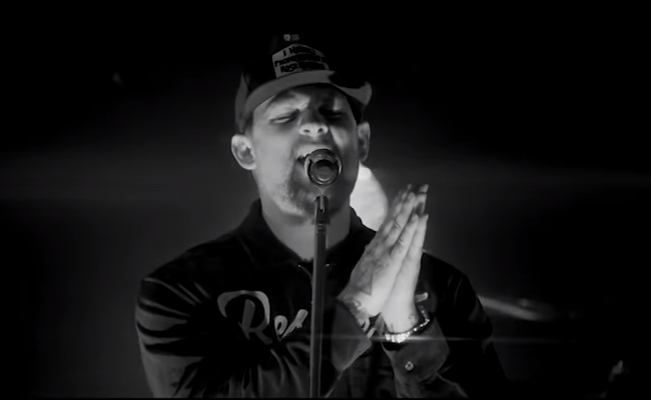 To be honest, the black and white video looks too polished both acoustically and visually, which logically leads us to thinking Good Charlotte had filmed this footage (and pre-recorded the sound track) during their special performance the day before the game, on Sunday, Sept 30, in Denver, CO at the Summit Theater. In the Facebook post last weekend the band wrote that all their fans, members of the GC Fam, were invited to attend the filming. ‘Prayers’ is the act’s latest single from their new studio album, Generation Rx, which came out September 14. Catch the Madden brothers later this month on the Generation Rx tour. On the extensive tour the band will be supported by Sleeping With Sirens, Knuckle Puck and The Dose.